What does UltraTough treatment involve? UltraTough fillings are designed to restore the strength and health of damaged teeth to the maximum extent possible. They are composed of multiple tooth-coloured dental materials bonded firmly to a tooth in layers to restore its strength and durability. The technique is time-consuming and requires meticulous attention to detail, but there are no shortcuts. No, local anaesthetic is used to numb any teeth involved, so treatment is completely painless and post-operative sensitivity is also rare. 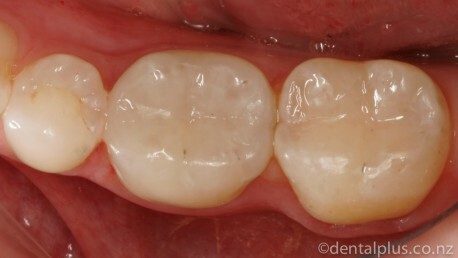 Are white fillings strong enough in back teeth? Some recent tooth-coloured filling systems have performed poorly in back teeth because they are weak, roughen with time and have a poor bond to tooth structure. UltraTough fillings are strong, smooth and durable and include anti-bacterial components to resist tooth decay. Aren’t metal fillings harder wearing? 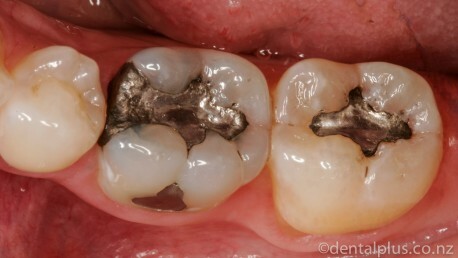 Amalgam metal fillings can perform well over 10 to 15 years in terms of surface wear, but generally cause significant weakening of surrounding tooth structure and can allow decay-causing bacteria deep within the tooth as they age and corrode. They do have the advantage of being cheaper and easier to place than UltraTough fillings. What does the 5-year warranty cover? Any UltraTough filling that breaks or exhibits significant wear in a 5-year period will be replaced or repaired for free. Fees depend on the size, location and complexity of the treatment. A full estimate of costs will be given to you before any treatment, and there are several convenient payment options. Because UltraTough fillings are time-consuming and technically demanding to place, the initial cost may be higher than other types of fillings. However, in our experience rebuilding teeth in this way provides exceptional stability, aesthetics and long-term value for our clients. How long do UltraTough fillings last? DentalPlus have completed thousands of UltraTough fillings over several years with very favourable results. Although there is insufficient long-term data at present to be certain, a decade or two of healthy service would be a reasonable estimate based on our clinical observations. And of course the better you care for your teeth, the longer your dental work will last.